A rainy-day song lost in deep thought, Margot’s “Coffee Stained Scars” is an introspective exploration of isolation, disconnect, and alone time. We all need time alone: Time for thought, time to grow; time to get to know ourselves, and time to better understand the world around us. We don’t often talk about our alone time – in fact, it most often manifests itself as those fleeting moments in-between activites – but it’s an important and necessary part of our lives, and a critical factor in our personal development. Atwood Magazine is proud to be premiering the music video for “Coffee Stained Scars,” the latest single from UK dream pop quintet Margot. 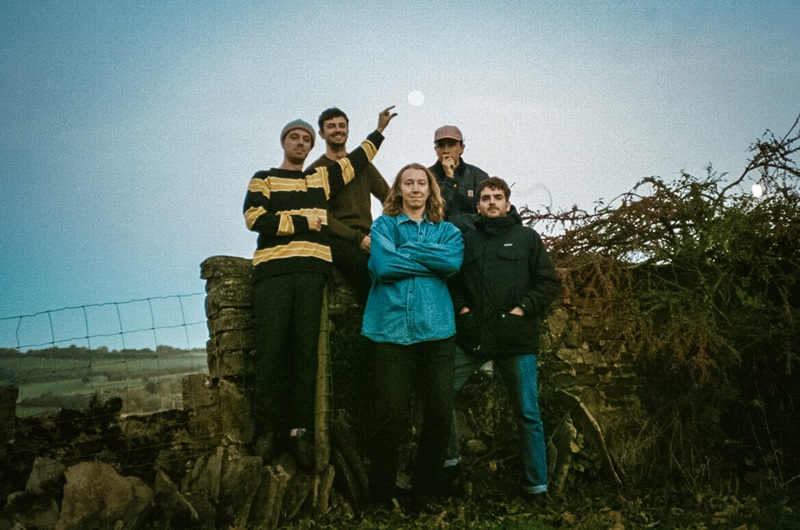 Consisting of Alex Hannaway (vocals), Ben Andrewes (Drums), Albi Cleghorn (guitar), Rob Fenner (guitar, keys) and Michael Webb (bass), Margot blend pop, rock, shoegaze and more influences together into a warm, emotionally-potent glaze of sound. A rainy-day song lost in deep thought, “Coffee Stained Scars” is an introspective exploration of isolation, disconnect, and alone time. I’ll tell him how I feel when he’s behind the wheel. Partially inspired by a scene from Lady Bird, in which a “mother’s drive between work and home is the only time in her day when she’s not serving others, creating a time of contemplation” (per the band), the song and its music video highlight the impact and importance of having time to ourselves. Director Sam Hooper captures actor Guy Smith driving through rainy streets, observing the world as it passes. Subtle nuances in Smith’s face and movement reflect unseen thoughts and feelings – and while we can’t know what’s going on in his head, the audience can feel tension and release in real time. There’s beauty to this alone time, but with that beauty comes a bittersweet sadness. This character has no one to interact with but himself; his words go unspoke, and his thoughts are kept in his head. We all need time to ourselves, but there’s both a limit and a cost associated with it. Life is a delicate balance; we need both solitude and exposure, and we’ll forever be searching for the right dose of each. In the meantime, Margot are emerging as a dazzling powerhouse of emotion as their music presents itself as a soundtrack to hazy days and pensive nights. 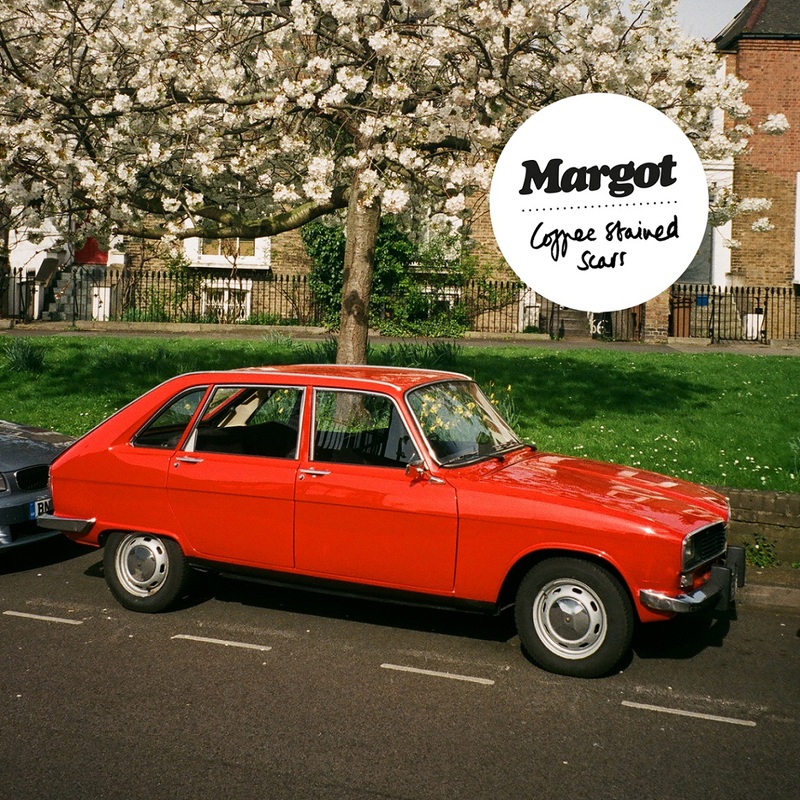 Stream Margot’s “Coffee Stained Scars” exclusively on Atwood Magazine!